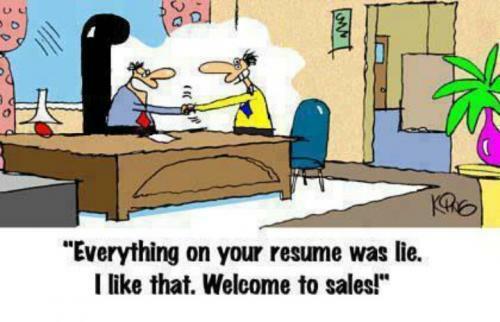 "Everything on your resume was lie. I like that. Welcome to sales!"